At D & J Kelly Building Co, we pride ourselves on safety. We never take shortcuts and go above and beyond all required safety legislation to ensure our staff and customers are never put at risk. We provide hassle-free asbestos removal for commercial and residential properties in the Greater Sydney region. Our team of specialist asbestos technicians are fully licensed and accredited. Clear communication is provided with every step of the project so you know exactly what is happening. Our team of tradespeople approaches each project with a “Make Good” approach, providing a range of options including relining of walls, eaves, roofing and building modifications. On completion of the project, we provide you with a written guarantee of works carried out to NSW WorkCover guidelines and standards. We use Phil Clifton & Assoc. to provide air monitoring and clearance. If required, we use excavation equipment to remove concrete slabs and provide soil remediation. Before we commence works, we complete a relevant site-specific work method statement to ensure that we recognise all risks and can complete the project safely. The area will be cordoned off with temporary fencing including appropriate safety signage. If needed, we can advise neighbours of works and handle any of their concerns for you. Our commitment to expert service is evident in the fact that we only use approved PPE and 200mm plastic to wrap, handle and dispose of hazardous material. You will be given proof of legal disposal at our approved asbestos collection facility with the final invoice. If you believe you have discovered asbestos material on your property, do not disturb it! Household asbestos is a serious issue. Contact D & J Kelly Building Co and one of our licensed asbestos removal technicians can establish a plan to remove it. We are your local Sydney asbestos experts! Give us a call today for a free Sydney asbestos removal quote. At D & J Kelly Building Co we are committed to providing expert workmanship and first-rate service. We stringently follow all relevant requirements provided by legislative and government bodies in order to provide our valued customers with reliable services. Did you know that one in three Australian homes contain asbestos? Do you know where asbestos could be in your family home? Have you identified asbestos materials in your commercial facility? 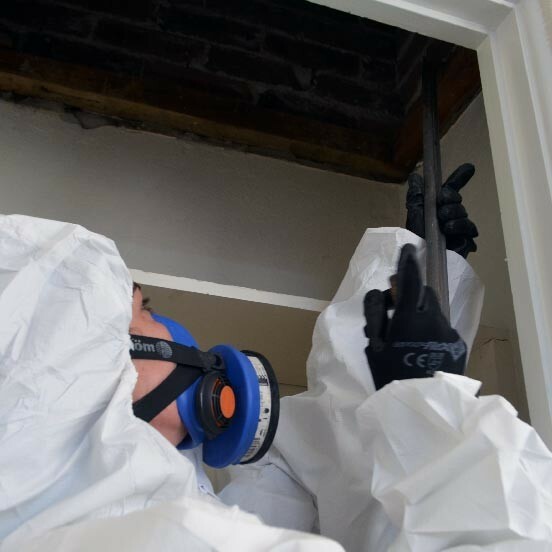 Our team of experienced technicians can safely and efficiently examine, test and rectify any asbestos issues throughout your property. From the dog kennel to the gutters and everywhere in between, at D & J Kelly Building Co we are committed to helping you create a safe environment in your property free of asbestos products. Was your home built before 1987? Products made from bonded asbestos cement may be situated in your water drainage pipes, roof shingles, guttering system, walls or ceiling. If fire, hail or high-pressure blasting damages bonded asbestos products, it may become friable asbestos material and legally must be removed by a licensed friable asbestos removalist. Have you found asbestos on your property? The Department Of Health has created a helpful guide to managing risks associated with occasional encounters with asbestos materials on your domestic property – See Asbestos - A Guide For Householders & The General Public. 1 - Our team of fully licensed, qualified and insured technicians are industry experts (LIC Number AD210753 Class B). Don't risk using amateurs. 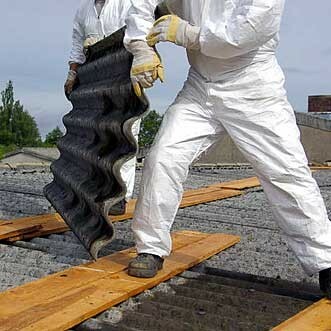 Take the stress out of removing asbestos from your property by relying on the industry professionals. 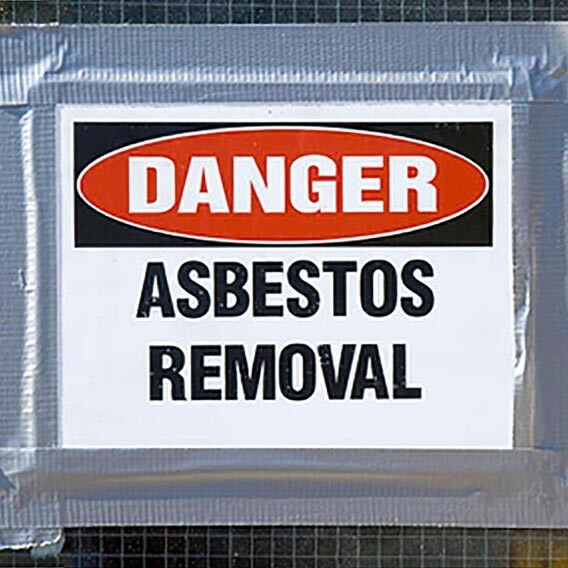 As recommended by the Australian Government at asbestosawareness.com.au only licensed asbestos removalists are recommended to remove and dispose of asbestos. 2 - As we are qualified builders, we have created innovative methodologies that take into consideration who's coming next after the asbestos has been removed. We complete the job each and every time. 3 - We are a family owned and operated company. Friendly service and respect are hallmarks of D & J Kelly Building Co.
4- If you have been searching for cost-effective asbestos removal services, you are going to be impressed with our competitive rates. 5 - Our asbestos removalist experts dispose of asbestos at approved waste facilities (such as Suez, Kemps Creek). On completion of the project, you will be provided with a Written Certification that the project has been carried out complying with all standards in the NSW WorkCover Guidelines and Codes. Locally owned and operated, we provide a comprehensive range of asbestos services throughout Sydney, the Western Suburbs and New South Wales. With close working relationships with Local Councils and Legislative Bodies, D & J Kelly Building Co is the team you can rely on to get the job done right the first time. Where is your asbestos problem? D & J Kelly Building Co has simple, cost-effective solutions. To discover how we can help, give us a call today on 1300 977 116.